Customize the NITRO Glow RGB LEDs, poke around the Fan Check system, set up the custom fan profiles, overclock and further boost your card’s performance. 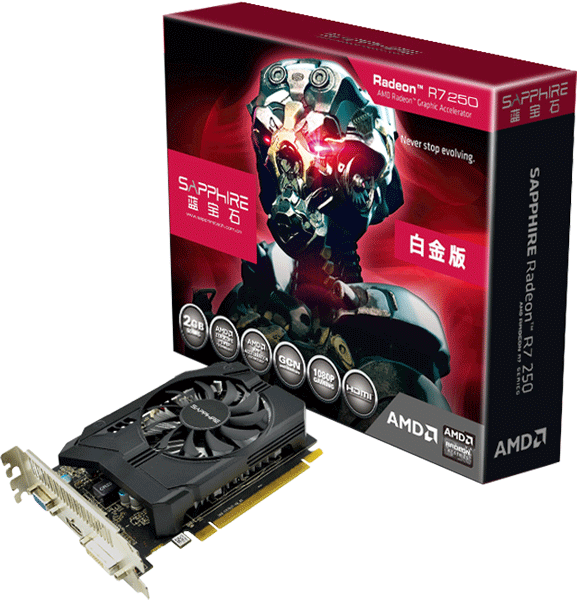 Are you getting the best out of your Sapphire Nitro or AMD Radeon card? You might not know that Sapphire's mighty TriXX software is the key to unlocking its power. With Sapphire TriXX you can tune your card's performance to the max and save custom settings for your favourite games. A deceptively-simple interface lets you tweak your card's fan speeds dynamically, and find out anything you could possibly want to know about your card. The hardware monitor will give you a real-time overview on a variety of your PC’s parameters, such as usage percentages, current clock values and temperatures. You can export a log of metrics to a .txt file right from TriXX as well, and for enthusiasts messing with the card’s BIOS, there’s the VBIOS export feature to easily get a copy of the current firmware for safety. Whether you're new to overclocking or an old hand, our powerful tools make it easy - and, more importantly, safe. The TriXX software package gives you the power to quickly change your GPU clock, GPU voltage and memory clock. Then our intuitive interface gives you simple visual feedback to see how changes have affected your system stability. Five different custom profiles let you save your tweaks - and two automatic modes can set your computer for high-end performance or silent running. Our software suite doesn’t just let you fine-tune your settings. You can dive deep into your card’s capabilities too. The Card Info panel gives you all the details you need about your card, from the BIOS version clock speed, right down to the die size and GPU name. The Hardware Monitor itself graphs everything from the GPU’s core and memory clocks, to the various fan speeds, the load the GPU and memory are under, and much more. Whatever you need to know, TriXX can reveal it. We've also integrated a flexible set of fan control gear into our overclocking suite. With one click of a button, you can change the fan speed between our best-in-class Automatic setting or a Fixed speed. Uniquely, we even support a Custom setting for power users, with an adjustable curve relative to core temperature. Fan settings can also be saved to each profile individually, allowing you to slow those fans right down when you’re not gaming, or ramp them up for power-hungry games and VR apps. A graphics card isn't just a component; it's core to your gaming life. Nitro Glow makes it look as good as the games themselves, with customisable LEDs mounted in a tasteful shroud. And TriXX gives you a huge choice of LED controls. You can vary the intensity and colour manually, let it automatically change by PCB temperature or fan speed, or randomise it, choosing from a huge range of colours. Our unique Fan Health Check system, meanwhile, enables you to quickly check a cooler's status. If there's a fault, you can immediately contact customer support in case of problems - and our friendly techies can send out a replacement fan immediately. And don’t forget that our Quick Connect one-screw system allows the replacement or cleaning of individual fans in minutes, saving you the need to replace the entire card. Added power & stealth mode function for RX 500 series. In power mode you gain higher performance for more demanding gaming experience , in stealth mode we bring you balance in gaming experience and power saving.